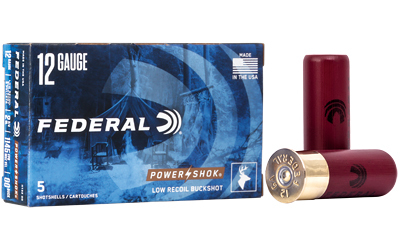 Whether used for hunting hogs, deer, predators, or for defending one’s home, Federal® Power•Shok® Buckshot loads offer the patterns and terminal performance shooters need. The Triple Plus® wad system provides better shot alignment and a granulated plastic buffer keeps pellets uniform in shape for tight patterns. These low-recoil offerings reduce kick significantly.